I have been thinking. The more Bruce Springsteen keeps recording, the more he starts to sound like Bob Dylan. Even now the mumbling raspy whispery voice is becoming less and less understandable. And you have to say that both are creative storytellers when it comes to songwriting. It just scares me to think that this is happening and they haven't found a cure. Well I am glad I was able to see Springsteen in concert back a few years ago (it was awesome). I was a big Bob Dylan fan, but now, I just do not want him to go on singing anymore, someone needs to put him out of his misery. I like both of their music. Katie is THEE biggest Dylan fan in the whole world. She'd bang him even though she say's you can't understand him anymore and he's old enough to be Grandpa Bob. She's just turned 21 and has seen him like 8 times live. She's a weirdo, I know. 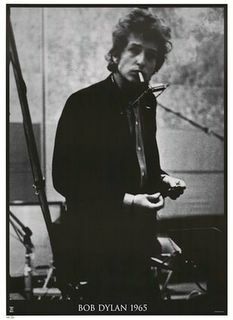 Anyhow, she say's you can't understand a damn thing Dylan is singing anymore. But yet she still goes to the shows. Go Katie! Mmmm... I've always liked Bob Dylan, but I don't think I've ever understood what he was saying. So, what's changed? Keep going buddy, and more power to ya! As for Bruce... That dude just gets on my nerves. I got burned out on him in the 80s and haven't been able to tolerate him since. although I can't stand him... Ozzy Osborne, now that's a man you can't understand.